Welcome To My Trip Report on Jetstar! I decided to do this trip report on Jetstar to compare how the service is like compared to my last trip (2 years ago) and the reason for flying this carrier is because of the timing. I needed to fly in the evening on a Friday night as I had work that day and I managed to adjust my schedule so that I could be at the airport earlier. A quick getaway to the land of Saigon wasn't a difficult decision and I found some good fare for this leg and the return. For the return leg, I decided to fly with Singapore Airlines which was more expensive at S$157. Jetstar has several subsidiaries: Jetstar Asia Airways, Jetstar (Australia), Jetstar Japan and Jetstar Pacific. 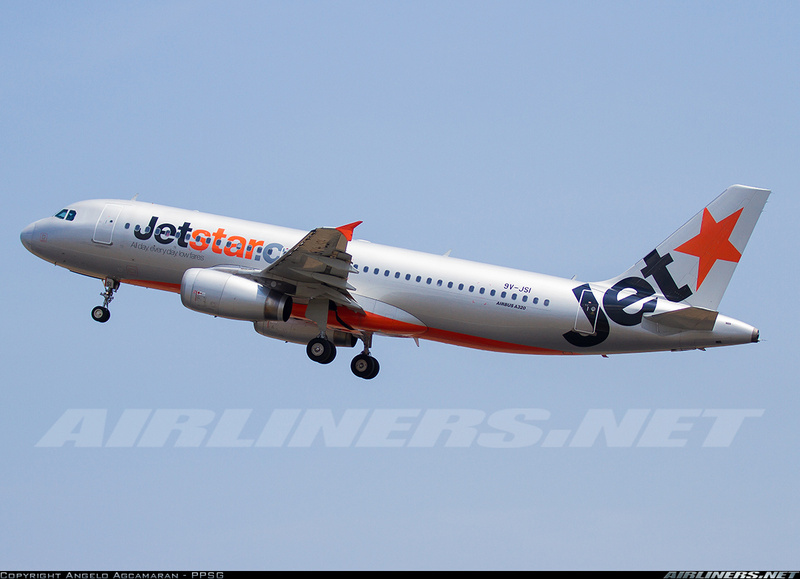 I have flown all except Jetstar Japan which I hope to do so in the near future. 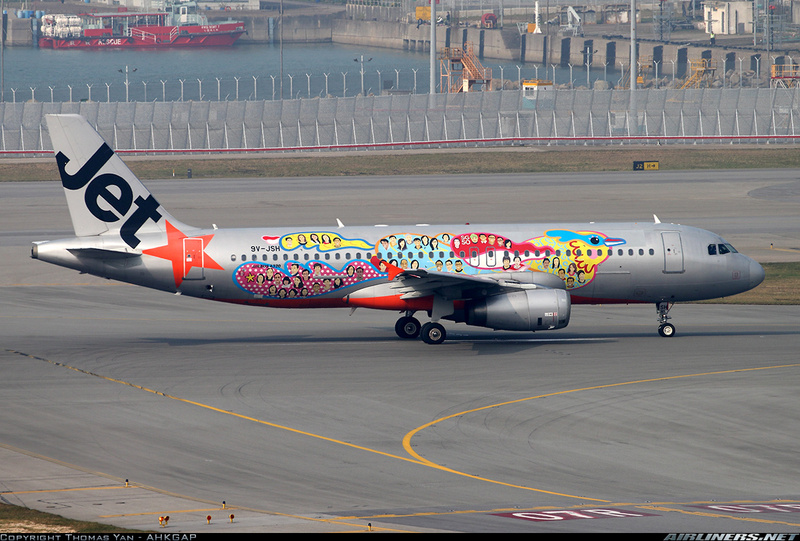 This is a Low Cost Carrier based in Singapore, a subsidiary of Jetstar (based in Melbourne) under the Qantas group. This airline was successfully set up in 2004 and gained its AOC (Air Operator's Certificate in November 2004). A joint venture among the follow: Qantas group 49%, Tony Chew 22%, FF Wong 10% and Temasek Holdings 19%. This airline was introduced to the market to attract budget conscious travellers with low fares and it was successful. Valuair and Tiger Airways (Now known as Tigerair) were competitors at that time. Jetstar Asia later on merged with Valuair in 2005 and took over its Indonesian flights, retaining its name on the aircraft's livery. So for now, this airline competes with Tigerair/Scoot and Air Asia in the regional routes. 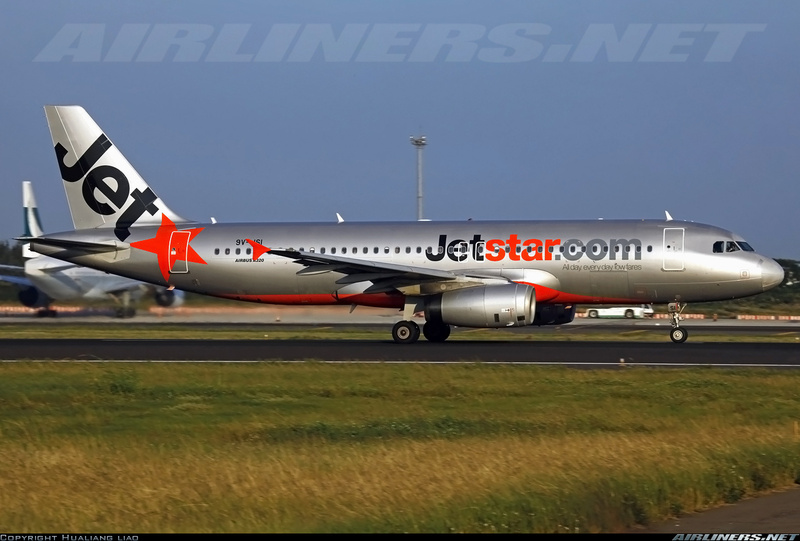 This low cost carrier along with the others code share with its parent airline, Jetstar to make the Low Cost network stronger than the others and for Jetstar Asia, it even code-shares with Emirates on regional routes in Asia. Finnair and Sri Lankan Airlines are also code-share partners with Jetstar. Currently operating a fleet of 18 Airbus A320, here is the current route map of the airline's destinations. It is easy to use, had no issues at all with the booking. However, when I tried to check-in online using my mobile app, I was denied and it was only when I use the web version, I had no issue. Strange! Now, who is this "wise" person who chose to sit beside me when they are so many other vacant seats. I had to wait until web check in (48 hours before departure) to change my seat without charges. 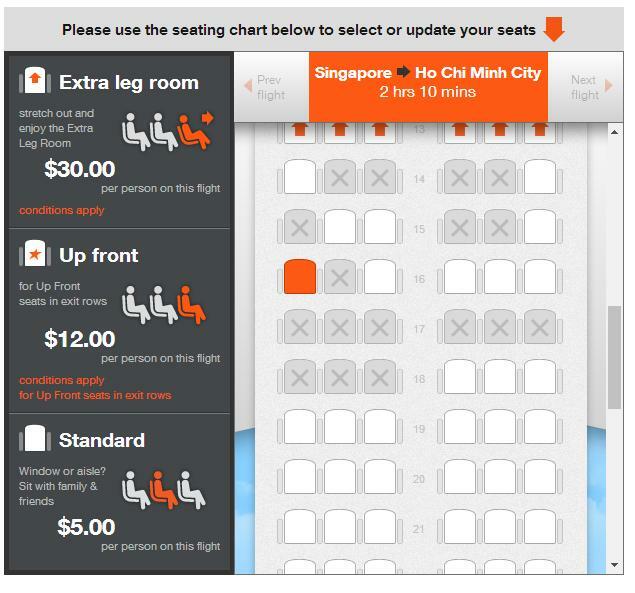 Web check-in is allowed 48 hours in advance, and you can change seat for free provided the value of the seat is the same as what you paid for. Of course if you choose the better seat (emergency row seat or the front rows), you have to pay for it. 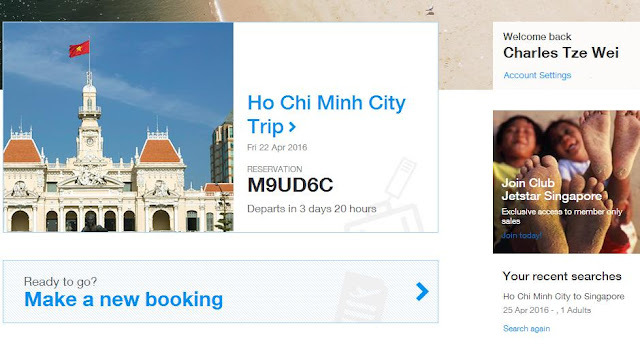 $72 for the one-way trip to Ho Chi Minh City without luggage and in-flight meal. I only paid for the seat. The price to upgrade doesn't justify the short flight I was on. Tried 3 times, I get the same message as shown below. After that I tried the web check-in less than 24 hours before departure on the website, I had no issue. I chose the evening flight as I had some work to do in the early afternoon but I managed to clear it before noon time that means some time to spare in the afternoon. There are always things to do at Changi Airport and even flying on a Low Cost Carrier, you can check in early and enjoy the facilities. So I headed to the airport around 3 and grabbed my afternoon tea and dinner there. The bus services first enter Terminal 3 - Terminal 1- Terminal 2 so if you are in a hurry, its better to stop at terminal 3 and walk to terminal 2 or take the skytrain over to terminal 1. I don't understand why a proper bus interchange cannot be built (Project Jewel Location) so that higher capacity buses can be deployed. Once at the airport, I took the elevator to the 3rd level and took the skytrain to Terminal 1. Better than being stuck on the crowded bus. Since I have enough Jetstar boarding passes, I used the self check-in kiosk this time. You have 4 options to get your check-in procedure started. Language is only in English, so for the non-English passengers, check in at the counter instead. After keying in my personal information, I was done. Once check in process completed, boarding pass is printed out. No need to worry about having to pay a ridiculous fee for the boarding pass. After that I had to go to the document check counter to get the chop on my boarding pass in order to proceed to the air side. Making my way to the air side. If you need free WiFi without keying in the 5 digit code on your mobile phone (Changi Airport's WiFI), you can head towards KFC . You can use one of these big computers to check where to dine or shop. For those arriving from other destinations, you can shop for a while before making your way to the immigration. It's best if you don't have a check-in luggage as you can spend more time at the air side. I had dinner at Owl - one of the eating booths near the central part of the air side. Did some plane spotting before I made my way to the gate. Later on I did a check on my phone that 9V-JSI was flying me to Ho Chi Minh City. I was naturally disappointed as I had already flown on this aircraft before. Ohh well! My flight was departing from Gate D47. Soon it was time to board, boarding was according to row numbers and as usual, passengers seating in the front rows and emergency rows were allowed to board first together with passengers needing assistance (family with kids and disabled passengers). After that those sitting near the rear got to board next and followed by the last batch. The usual leather seats commonly used on Low Cost Carriers. Seat is quite comfortable but legroom space is quite cramp. It's good to board early to place your items in the overhead compartment. You don't want to arrive late and have to place your items far away from where you are sitting. Unfortunately, I had seat mates beside me but the flight was only an hour and a half, so it wasn't too bad. View from my seat: waiting for the rest to take their seats. Most of the passengers were locals, going there just like me for a quick getaway. Cabin shot taken during the flight, had to trouble 2 friendly Vietnamese passengers to let me in and out of the seat. Making my way out of the aircraft. The crew were there to wish us good night. They would fly back to Singapore for their last duty of the day. Important to lock the door! I experienced awkward moments when some passengers forgot to lock it and when I opened the door, both of us got the shock! Glad they have this now for tourists! I didn't want to pay for the overpriced in-flight meals but I took photos of the menu. Looks great but not value for money in my opinion. Looking at the small portion of the hot meal, I would at the most pay S$7-8 for it, not more than that. Boarded the aircraft and was greeted by the flight purser, while the male crew was looking elsewhere when I walked past him. The other 2 crew at the rear were friendly, overall nothing much to shout about the in-flight service. One observation is one of them was more out-going than the others. Once I was seated, seats around me were filled and it was a full flight consist of majority local travellers. My seat mates were Vietnamese, going home after a few days of work here (probably). Our flight departed late due to the late arrival of this aircraft. It's previous flight was to Siam Riep, a city I love to go to one day. The flight crew kept us well updated before take off and before arrival so we knew what to expect. Flight was pretty smooth including landing at Saigon. During the flight, BOB service was served but I don't understand why all 4 crew were doing it together. I feel that 2 should remain near their working stations (rear and front) for obvious security reasons. Quite a number of passengers ordered some light snacks and it took a while for them to finish the in-flight meal service (BOB). For the rest of the flight, it was uneventful, we touched down smoothly on runway 25R and taxied to our assigned gate at terminal 2. Taxiing to runway 02C for departure. SilkAir's Boeing 737-800 was about to take off. Landed smoothly on runway 25 Right. With that, I got out of the aircraft and headed for the exit. One good thing about having no check-in baggage is you can skip the waiting time at the caroseul and head straight out to the arrival hall after immigration. My only regret was not taking the private taxi which cost a bit more but my experience has been pleasant so far. Nothing spectacular about my flight experience with this airline but for the price I paid, it is worth it. In-flight service - pretty much Singaporean type of service as most of the crew working for this airline are from. The late departure didn't turn out that bad as my flight landed just 20 minutes after the scheduled arrival time, the flight crew managed to catch up along the way. Sometimes delay is inevitable especially when the flight schedule of the aircraft is tight. 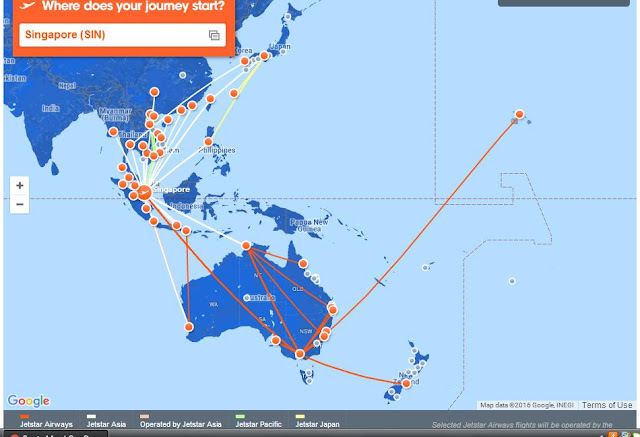 I flew with Jetstar Pacific not too long ago, you can read the report over here to compare. In-flight service is similar but for the meals, its cheaper and more value for money in my opinion. I will be doing more trips to Saigon in the near future, and will not hesitate to fly with either Jetstar or Jetstar Pacific. Overall, I am satisfied with my experience with this airline. Nothing outstanding but at least the airline has completed its job and that is to take me from Point A to B.